My Marathon & Beyond story is now out! At last, my story on my experience at the 2007 Burning River 100 has appeared in the July/August, 2008 issue of Marathon & Beyond--just out. Plus, I got some nice cover ink with "Redemption at the Burning River 100" (the great Ryan Hall, who I predict will medal in Beijing, is pictured on the cover) and they ran my bio with a URL to this blog. Not bad for a day's work. In truth, this was far more than a day's work...far more. As I previously wrote on this blog, I am extremely excited about the story running for many reasons, not the least of which is that it'll be good for the Burning River 100, which is entering its second year and is looking at drawing close to 200-plus entrants. 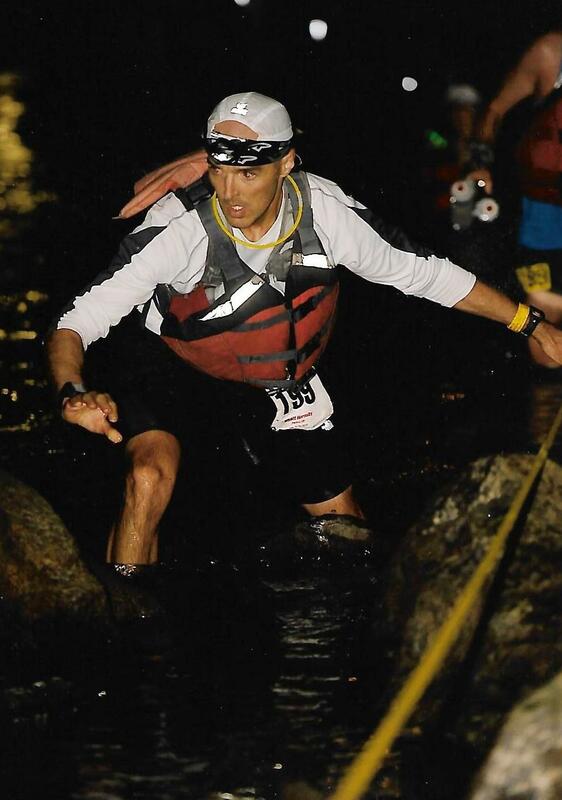 My hope is that my story may inspire some to try the Burning River 100 or another 100-miler. For me, the BR100 was truly a life-changing event. I realized as I was making my way down Front Street in downtown Cuyahoga Falls, with the finish line in sight, that I'd never look at the world the same again. I just wish Mohican had been a little more enriching, as opposed to an epic struggle with my ailing knee and stomach the last 20 miles. That's 100s for you! Also, I'm eager to have more of a writer's presence in the running world. This story, like this blog, is a step in that direction. 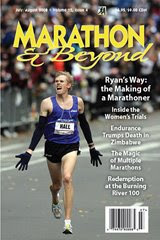 Marathon & Beyond is a prestigious running publication. Every year it publishes a special Boston Marathon issue that the Boston Athletic Association distributes to runners and interested groups. In other news, my knee is definitely improving. It's still not great--far from it--but it's better. The pain has diminished markedly, but my leg now feels like of "weak," which means I'm still a few days from going on a test run of about a mile or so. I'm sticking with my doctor's appointment unless I wake up on Monday morning and feel like a million bucks. Previously, I was doing my intervals and tempo runs on Wednesday and Friday, respectively, since on Tuesdays I was still really tired from long mileage from the weekend and needed an extra day of recovery. I'm going to try to go to a Tuesday/Thursday quality workout schedule as I think it's nice to have Friday as an easy day. I'm going to try to hit at least 70 miles per week and then, when Noah's settled in and this colic is behind us, up the mileage to 80-100+. My knee might be slightly better, but maybe not.... It could just be the Aleve. I've taken ice baths the last three nights, am applying ice directly to my knee and have made the transition from Advil to Aleve. I think the Aleve has definitely helped manage the pain. 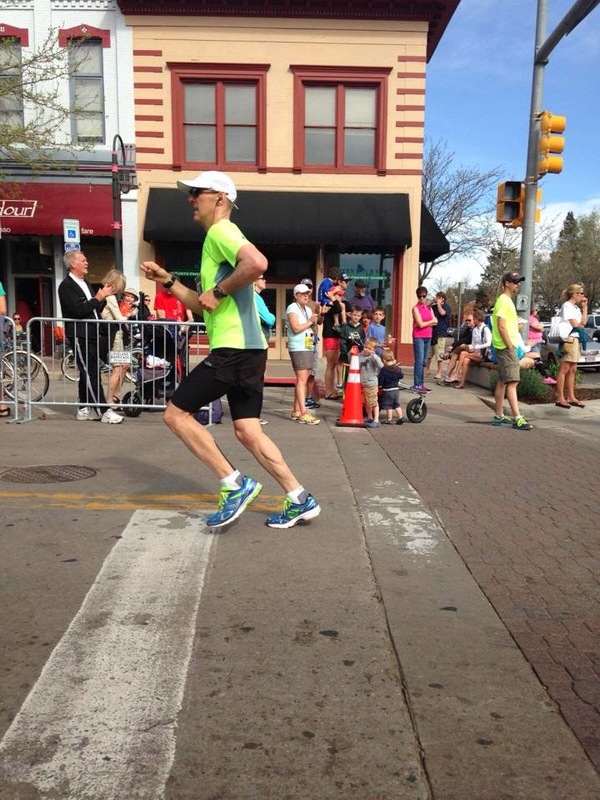 It is humbling walking with a limp when you're a runner who can do 100-mile races. People at work have really reacted to my limping about; they can't believe a guy like me is hobbling all around. One person said, "How can you be injured? You're superman!" Their reaction is kind of flattering in a way, but I'm no superman--far from it. Anyway, I made an appointment with an orthopaedic specialist at my workplace, University Hospitals. Unfortunately, to be seen ASAP I'll have to drive all the way to Mentor on Monday afternoon. My hope is that my knee will feel much better by Sunday so I can cancel my Monday appointment. I just hope the doctor doesn't lecture me on what I do. Just tell me what I have and help me fix the problem so I can get back on the road for more miles--that's what I want from my doctor. Convincing me that running 100 miles is crazy is an exercise in futility. I know it's crazy but I love it. I am planning to swim on Saturday and Sunday. This will require buying a day pass at Bally's. I love swimming and am actually a very good swimmer. When I do an Ironman in the next few years, swimming, not running, will be my strongsuit. My mom says that when I was a baby I took to the water like a fish. I've always loved swimming and wish I had ready access to an indoor, Olympic-sized pool where we live. Unfortunately, we do not. I'll have to drive to Beachwood to the Bally's to get in my laps this weekend. I am looking into buying a membership at the Veale Center at Case Western Reserve University, where I can swim during my lunch hour with the option of running if I wanted. I cannot believe the Western States 100 has been canceled! Actually, I can. Basically every wooded area in NoCal is on fire! Of course they'd cancel the race! Our environment is so messed up. I don't know what the root cause of all these fires in California is, but this is crazy...and depressing. I feel terrible for Mark G. and others who have worked so hard and focused so much time and energy on training for the Western States 100. Not only will they not get to run the race--the first time in its 35-year history it won't be run--but they're out thousands of dollars and vacation time to boot. What a bummer. My suspicion is that Mark will lay down some serious wood at the upcoming Buckeye Trail 50K and Burning River 100. If my knee is up to it, I may do both. I hope I don't choke on his dust. I predict Mark goes low 15 at Burning River. I am guessing everyone who got into this year's WS100 will get into next year's race, which means I won't be running WS100 next year. Oh well, I guess I'll have to wait until 2010 to apply and will maybe do Vermont next summer. I will keep you updated on my knee. Fred Davis III: 10th Mohican finish; it was probably just a middle-distance run for Fred, who knocks down the 100s like they're 5Ks. I am extremely concerned about my left knee. Walking hurts, going down stairs is very painful and extending my knee is agonizing. Running is out of the question. This is most frustrating because right now everything else on my body feels very good. My recovery from Mohican is progressing save my blasted knee. As I wrote in my previous post, I was hit by bad pain in my knee the last 20 miles of Mohican and simply could not run the down hills or else I was crashing. I actually felt some discomfort as early as 20 miles, but the discomfort didn't turn into pain until about 80 miles were behind me. I don't know what the problem is. It could be a case of "runner's knee," which should clear up with the RICE method (rest, ice, compression and elevation). The problem is that I've been doing basically all of the above since Sunday and my knee hasn't improved one iota. My fear is that I have a serious knee injury. I will give it a few more days and then seek evaluation by an orthopaedist. Fortunately, I work for a hospital system with some phenomenal orthopaedic specialists. I am proud to have finished 4th overall at Mohican with a time of 19:21--almost two hours faster than my Burning River 100 time (21:08). But it's frustrating that my knee and stomach went south on me late in the game. Had they both held up, I know I could have finished in under 19 hours and potentially in under 18 hours. When I was passed with less than 5 miles to go by the Irish guy, who came out of no where, I was so frustrated because my knee simply wouldn't allow me to fight him off. I know in my heart that if my knee hadn't gone out on me, I would have finished at least third. "Would haves" don't count for a thing, though. The Irish guy passed me and was a champ for finishing strong. Likewise, Jeff Atwell is a champ for coming back from looking rough at mile 52.2 (Rock Point) and finishing a strong second. Jay Smithberger earned his first-place finish in a big way and should be proud. I admire Jay for running a smart, aggressive and gutsy race. And I admire Jeff for coming back strong. In marathons, sub-3-hour times are achieved in the final 10K. Most any well-conditioned runner can set themselves up for a sub-3 in the first 20 miles, only to falter in the last 10K. It took me a while to learn that. At the Cleveland Marathon this year, I held pace the last 10K and clocked a 2:58 and negative split. Likewise, a sub-19-hour time in a 100 miler comes down to a strong final 20 miles. If you're reduced to mostly walking that final 20 miles, as I was with my knee problem (though I was able to jog the few flat sections we encountered), you're not going to finish in under 19 hours and you're going to get passed. Right now the "what could have been" scenarios keep flooding my mind. It's a waste of time, I know. With two 100s under my belt, I now know I love going the distance. I've learned some hard lessons and I feel like I've now established a decent baseline from which to work. If my knee miraculously heals in the next week or so, I'll look at lining up at the Burning River 100 on August 2. I doubt I'll "race" the BR100--that would not be smart as I don't think racing two 100s in a period of 6 weeks is a good idea unless your name is Karl Meltzer, Michael Wardian, Scott Jurek et al. I'd like to run the BR100, try to enjoy it and finish strong. If that means a time of 22, 23 or 24 hours, fine. I just have to get my knee in good, working order. I'll look at next summer as my next 100-mile race--maybe the Western States, Vermont, Masanutten, or even Mohican and/or Burning River 100s. We'll see. Hundred milers are now a part of my life. They hurt like hell, but they're good for the soul and the community feeling of it all is so very therapeutic, invigorating and addictive. As much as I want to run right now, the objective has to be getting my knee in good shape again. Hopefully that'll require some RICE, not a surgical knife. I'll keep you updated on what hopefully will be my progress in returning to running. Miles 1-52 (Rock Point) : I went out hard and felt incredibly strong. In fact, I went out too hard. About 5 miles into the race, Bob Pokorny, who was running the 50-mile race, caught up with me and told me to slow down. He and I ran together for the next 15 or so miles before he had to make the 50-mile race turn. I held on strong and got up to second place, trailing behind a guy from California who went out hard at last year's Mohican and was leading before blowing up and eventually clocking 27 hours. When I came up to Rock Point at 52.2, there he sat totally wasted. I thought for sure he was done. When I left Rock Point I was in the lead. Being a native southerner, I found the watermellon at Grist Mill quite enjoyable--much better than PB&J's. Miles 52-65 (Fire Tower): Sometime after Rock Point things began to fall apart for me. Right as I was entering the Fire Tower aid station at 60.8, the eventual winner, Jay Smithberger, who ran a 17:17 and last year a time of over 21 hours, caught up with me. We left the Fire Tower together with our pacers--I had Ted F. with me--only for Jay to overtake us going down to the mile 63.3 Covered Bridge aid station. I figured we'd be seeing him again soon. I was wrong on that one. Ted and I entering the Grist Mill aid station at mile 75. Miles 65-80 (Covered Bridge): Even with the company of my very good friends, Ted, who joined me at mile 60, and Kenny M., who joined in at mile 75, I began to feel a lot of doubt during this grueling stretch. As Ted and I (Kenny hadn't yet joined us) were going down to the mile 75 Grist Mill aid station, we were hit with a severe thunderstorm and were caught in the woods with tree branches and hail coming down everywhere. It got very dark and I couldn't help but feel a little dispirited. I was pissed at myself for going out too hard and letting Jay overtake us. To top it off, the California guy, Jeff Atwell, had caught back up to us and overtook me not long after leaving the Covered Bridge aid station at mile 80.5. Even worse, my left knee cap had begun to hurt badly--a likely case of tendinitis that I will need to rehab over the next few weeks. Miles 80-90 (Rock Point): With Ted and Kenny coaching me along, I managed to endure the stretch from the Covered Bridge to Rock Point, but not without some serious discomfort. Our goal was to get out of the red loop by night fall, allowing us to cover the last 10 miles on the gravel roads through Landoll's Castle and the finish in the dark. We were able to accomplish that goal save about 10 minutes. I had begun to have some gastrointestinal issues (TMI, sorry) around mile 85--likely the result of two slices of pizza eaten on the run after the Covered Bridge aid station at 80.5--but wasn't too concerned just yet. I figured the GI problems would clear up. We covered some decent ground over this 10-mile stretch, but I came into Rock Point pretty hobbled by my ailing knee and reeling from my now-horrendous GI problems. Kenny (left), Ted (right), and I entering the Bridle Staging area aid station at mile 83.2. Miles 90-100 (finish): Two words describe this stretch perfectly: Pure hell. The double-whammy of my knee injury and GI issues reduced me to a near-incoherent shell of a man. I was having to "stop" for pit stops every 20-30 minutes and could barely talk with Kenny and Ted, and I know my wife, Anne, and her dad didn't like what they saw when I came into the Rock Point and Landoll's Castle aid stations looking like I was half-dead (and I did feel half-dead). By the time we left Landoll's Castle, having taken some Pepto Bismol, I was running a little but the downhills were killing my knee so much that I tried to fight off an Irish runner who was coming up behind us but couldn't. So he passed us, putting me in fourth place overall. I ran-walked a little more and then we entered the truly horrendous Big Hill stretch. The uphill wasn't that bad, but the downhill combined with my knee injury made the hike down the hill torture. Finally, when were down the hill we began running down the home stretch. My GI problems were now behind us (pun intended). Ted (left), Kenny (right) and I after finishing the Mohican. About a quarter of a mile from the finish, I looked back and saw a runner. I knew immediately who it was--Connie Gardner, the elite women's ultrarunner who last November ran 145 miles in 24 hours at UltraCentric, nearly setting the new women's record. I knew holding Connie off would be difficult--she's one of the two or three toughest runners I know and will hammer it despite the pain and discomfort. She was gaining on us fast. Fortunately, I still had a little left in the tank and somehow dropped the hammer and sprinted to the finish line, beating a surging Connie by less than 100 feet to finish the Mohican 100 fourth overall with a time of 19:21. I wasn't even really happy when I finished--I was just alive but barely. Connie and I embraced after finishing and then I went into the shelter to sit down and decompress. I honestly don't remember much about the post-race activities, other than that Anne and I, along with Ted and his wife Tami, and my father-in-law, Doug, drove back to the hotel for some shut-eye only to wake up about 6 hours later to return to the finish to collect my belt buckle and drop bags and talk with some friends who'd run the race, like Steve G., Dave P. and a few others. Now that I've done Mohican, I can say with certainly that Mohican is WAY harder than Burning River. Burning River has its share of hills, but nothing like Mohican. At Burning River, you can basically shuffle along on the towpath and into Downtown Cuyahoga Falls the last 15 miles. At Mohican, you can't shuffle really anywhere because you're constantly confronted with hills of both the uphill and downhill variety. The last ten miles is, as my pacer Ted said, "almost sadistic" in that you're confronted by a serious near-crippling hills your body is ill-equipped to endure that late in the race. Mohican's difficulty is considerably greater than that of Burning River. I will write more about my Mohican adventure. For now, I just wanted to get this quick report up. The much-anticipated Mohican Trail 100 Mile Run is only two days away. Over the past few days I've been busy trying to find the time to prepare my drop bags, print off Mapquest directions and finalize all the plans with Ted and Kenny while working 8-5 and, oh by the way, caring for our little Noah with Anne. I'm pretty tired emotionally and physically from a long week--we've had a baby with severe reflux and colic to care for--but hopefully I have enough gas in the tank for 100 miles. My strength will be there for me. It always is. There will be many strong, tough runners lining up at the start on Saturday morning at 5 a.m. Each will have an excellent shot at an outright win, especially with very favorable weather. The forecast is a high of 79 and a low of 59. I imagine I'll have to change into a long-sleeve tech tee on Saturday night. My goal for Mohican is to run a smart race and do my absolute best. I finish where I finish. Am I nervous? A little. Most of my nerves are from knowing I haven't had enough sleep and that I'll be out of mobile phone range during the race, which means I won't be able to communicate with Ted, Kenny and, most important of all, Anne. It'll be tough not knowing for nearly a day how things are with Anne and Noah. I'll be able to call her the night before from the hotel in Wooster and will see her around mile 75 and at the finish, but the time when I won't be able to communicate with her might be difficult. I know focusing on the race will make it easier. I've trained hard and focused intently on Mohican. I've put in several 100-mile weeks and, insofar as my training is concerned, have shown this race and the sport of ultrarunning the respect each deserves. I will bring a great deal of intensity and focus to the starting line. But I'll also bring patience. A lot happens over 100 miles. A friend of mine says nothing good happens after 50 miles. I'm going to be in control, run a smart race and trust Ted and Kenny, my strength and my resolve. It's hard to believe the Mohican Trail 100 Mile Run is now only a week away. On Monday the 9th I began my tapering with a goal of 50-65 miles for the week. I ended up with 52.3, concluding the week on a pretty rough note but such is life. I am fortunate to have an excellent Mohican crew/pacing team in Ted and Kenny. We have been in close contact all week and have the logistics lined up. We have a few time goals we're after and hopefully we'll achieve those goals. In view of the fact that right now I'm running on fumes and am nearly spent physically and mentally (although I may be feeling better by the end of the week), I have revised my approach to Mohican. I'm just going to run my own race, try to me meet or exceed my aid station goal times, do my absolute best and let the chips fall where they may. If I finish top-10, great. If I finish top-5, that's even more great. If I finish in 24 hours, that's OK, too. I'm very run-down right now and, honestly, it's pretty much impossible to imagine myself racing a 100 miler only six days from now...but I know I'll be ready! Really struggled through the high humidity. AM: 12.1 miles in Cuyahoga Valley National Park with the Lock 29 crew. Ran a little too hard with Mohican only seven days away. Very humid. Finished the run up with Connie G., who is also doing Mohican and will finish very, very strong. She ran 145 miles at last November's UltraCentric, nearly setting the American women's 24-hour record. Connie is most certainly a leading contender for an outright victory at Mohican, especially if the conditions/weather are bad. She's the type of runner who thrives when the going gets tough. Saturday night was a very tough night, as Noah was not feeling well and basically screamed and fussed for 8 hours straight (had to call the pediatrician for advice....). I was too tired to go to Solon so I stayed home, helped out with the baby and then at 10 a.m. went to West Woods for a short run. I'd never been to West Woods and really liked it. Bill W. was right--it's a great place for a run. I will most certainly go back. Jeff U. called later in the day to see if I was OK since I'd missed the Solon run. I appreciated his concern. I heard the Solon crew ran hard. Although I really missed their company, maybe it's best I wasn't there with Mohican so close. This week I won't do much more than run maybe 10 miles and walk, taking Thursday and Friday off to get ready for the action on Saturday. I also plan to try to get at least 8 hours of sleep on Wednesday and Thursday nights, carbo load big time Wednesday, Thursday and Friday, and get my drop bags in order. I realize this is a running blog and that the late, great Tim Russert doesn't have anything to do with running...but on this incredibly sad day I have a story to tell. No, not a story. I have memories to recall in a way that might be construed as a confession and that do tie into running. Few know that, before I took up distance running, I was an overweight, 219 lbs., more-than-occasional smoking (Marlboro Lite) political operative and then a government PR guy, working as communications director/deputy campaign manager for a U.S. congressional campaign in Indiana, a communications/writing aide to the governor of Indiana, a communications director for a few mayors and, through it all, a consultant to some state and local campaigns--all Democrats. With dreams (more delusions) of one day rising to the level of a Washington, DC big shot (maybe a White House aide, preferably press secretary to the president or I would have settled for chief media aide to the VP), I imagined myself going on "Meet the Press" and battling it out with the great one, Tim Russert, who I watched and studied every Sunday morning and always thought was entirely fair, but tough, and always a gentleman. And I held on tightly to my dreams of Washington stardom for a few years, probably intoxicated by the powerful people I worked for and met. If I got where I wanted to be, I figured, I'd eventually sit down with Russert and have my Big Moment. But then, in a twist of events I never could have predicted only months before the fact, I got out of the very mean business of politics and my wife and I moved to Cleveland, Ohio to start a new life...a life far-removed from campaigns, political manuevering and spin-doctoring. I'm now a communications guy for a hospital system who loves his job but, unlike me in my previous life, isn't defined by my job. And it's been a much better life, let me tell you.... (Trivia: Speaking of Cleveland, Russert went to undergrad at John Carroll). By the time of our move from the Hoosier State to the Buckeye State, I'd begun distance running, had completed my first marathon (2004 Columbus Marathon, 3:22) and had fallen in love with life in my running shoes. My Sunday runs had become such a key part of my existence that "Meet the Press" fell by the wayside, and my dreams had gone from wanting to be a DC power broker and MTP regular to wanting to qualify for Boston. However, to this day I still continue to catch re-runs of MTP, tune into "The Tim Russert Show," and pay close attention to Russert's election analysis. When seeing the great one, I would often be reminded of those crazy dreams I used to have of going 10 rounds with him on his show. Not that my dreams ever would have come true, but today that dream of going on "Meet the Press"--a dream I had long ago when I lived a different life--is officially dead. And, with it, we now remember a news icon and a man so many looked up to, admired, emulated and genuinely liked. 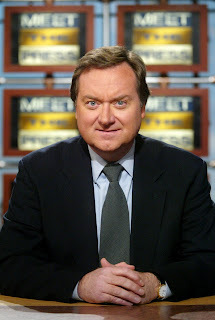 Rest in peace, Mr. Russert. I will run some miles this weekend for you and your family and be sure to think of you this Sunday morning. I've posted a poll (to the right side of the screen) on who will most likely win this year's Western States 100 (June 28-29). Please take the poll. Thanks! I read in this month's Runner's World that Michael Wardian, who is a dominate marathoner and ultrarunner with super-human recovery abilities, drinks 2-4 quarts of water each day. I will add that to my repertoire, along with the stretching and push-ups I already do. The goal this week couldn't have been more straightforward--to get in as many miles as possible. This was my last week of training before going into taper mode for the Mohican 100. Originally, my thinking was that if all I could get in was 80 miles (due to the many responsibilities of being the parent of a newborn and the husband of a sleep-deprived wife), that would be fine. But, of course, as the week progressed I got bull-headed, and by Thursday decided to make a run at--what else?--100 miles. Mission accomplished. I ran 100 miles. And it wasn't easy. I was very tired and run-down, especially tired and sore in my hips, early to mid-week and basically threw the towel in on my speedwork and tempo run. I think a few times this week I was most certainly "burning the candle on both ends," as my mom says. Fortunately, by Friday, I got a second wind and started to feel fresh again. By the end of Friday, I had logged 60 miles for the week, which meant I'd need 40 over the weekend to get to the century mark. It used to be 40-50 in a weekend was child's play. Now it's a struggle in terms of finding the time. But I found the time and did it--another 100-mile week under my belt as Mohican fast-approaches. The hard work with training is now done! Yes, it is hard to believe. I couldn't have done it without my wife Anne's support. She is the only one who really knows how hard I've worked. I wouldn't be here--ready for Mohican--without her. PM: 2 miles on the treadmill with Noah. I had to cut the workout short because he was throwing a hissy fit. This may have been my shortest-ever run. Felt incredibly run-down due to a lack of sleep the night before and really struggled on the hills--usually my strong-suit. I was planning to go to the track for 1600s but was simply too tired and run-down, especially in my hips, to even approach doing a hard workout. So I elected to just get in some "junk" miles and call it a day, even if it meant possibly not getting to 100 miles for the week. A severe thunderstorm and massive downpour kept me from running outside. I felt much stronger than yesterday and ran the last 5 miles at sub-7:00 pace. PM: 5 miles on the treadmill with Noah. He was very good and let me get in some excellent miles! Very, very humid, but I felt strong and held a decent pace. When I got back to the house around 6:45 a.m., I looked like I'd jumped in a swimming pool and had to aggressively rehydrate before going to work. PM: 5 miles on the treadmill with Noah. Once again, he was very good and let me get in my miles. My morning goal was 16, with a day's goal of 20, to set up a 100-mile week. The humidity was once again pretty severe, but I averaged 7:30 pace and felt very strong. I brought a water bottle with me and took full advantage of it, even stopping for a refill at the Polo Field and in downtown Chagrin Falls. I really miss running with the Lock 29 crew and look forward to rejoining them when things settle down with Noah. For now, I'm on my own on Saturdays. PM: 5.25 miles on the treadmill with Noah. He slept the whole time. The temperatures reached 90 today with pretty intense humidity. This was a great opportunity to get in some heat acclimatization. Still, the morning run was difficult in areas, especially those where we were directly exposed to the sun. I made the stupid mistake of wearing a black tech-tee.... I ran basically the entire first 12 miles with Jeff U. and Paul R., averaging about 7:30 miles in the sweltering heat, and then ran the last 3 miles with Paul and Tim C.
You won't see many ridiculously high-mileage weeks in there, but you will see consistency. I believe my training will have me in contention for a strong finish. But, for me, it's been about more than miles. For 10 months--since the Burning River 100--I've been thinking about Mohican, focusing on it, crafting a training plan that would work for me, working through the details, etc. And now, after all this hard work, the race is only two weeks away. I will be sure to have my mojo there and go out hard, setting the tone for an aggressive race. Next week I'll cut back my mileage and get in 50-65. I want to get on the track Tuesday or Wednesday for my 1600 repeats (at a comfortably hard 5:45-5:50 pace) and then get in a short marathon-pace (6:45) tempo run. For the weekend, I'll go 6-8 on Saturday and then 12 on Sunday. Basically, I just want to keep burning calories and keep my sanity, but I'll avoid strenuous running altogether except for the 1600s. I'm tired of the "go green" movement, but hear me out--I'm a total lover of nature. As someone who spends a fair amount of time on the trails enjoying the sites, sounds, and smells of nature, as you probably do, too, I wholeheartedly support environmental protection and conservation. But to me, in all its bloviating about light bulbs and the like, the "go green" movement is for the most part trite and really just engineered so people can feel better about themselves. "Go green" fails to even scratch the surface of the real environmental problems in our nation and world--problems light bulbs couldn't begin to solve. Before I continue, let me say that, as Charles Krauthammer recently wrote, I am a global warming agnostic. While I'm as yet unsure of whether global warming is actually happening and, if it is happening, why it's happening (the "science" is currently more dogma than objective), I am quite sure CO2 emissions aren't a good thing. 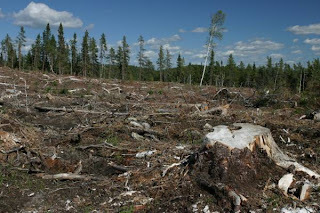 I am also sure that deforestation by over-development is a very bad thing, as it over-fishing (a topic for another post). And so we should reduce our emissions as much as possible while preserving our natural habitat. This starts with protecting the Amazon, which functions as the planet's lungs. Today the Amazon is under attack. But it also means protecting wooded areas and wetlands in communities across America. As I'm out running, it's amazingly tragic how many natural areas I see being demolished for residential and commercial "development." There was a wooded area in Solon that recently got destroyed for a "lifestyle center," which is jargon for a glorified strip mall. Just what we need--more Starbucks. 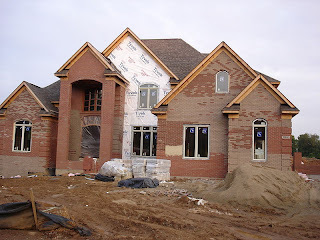 I see wooded lots all over the Chagrin Falls area, especially down near the river, now up for sale. A previously wooded area in Moreland Hills is now just mud as a shopping center is being built. I feel terrible for the deer and other animals whose homes are being wiped out. We deforest for the almighty buck, the deer, coyotes and other animals have no place to go, and then municipalities allow people to shoot them to reduce the population so they don't damage our cars and, in the case of coyotes, eat our dogs. How is that right? Every time I see a pile of torn-down trees I feel a deep sadness. When are we going to wake up and realize that once you tear down a wooded area and build houses and buildings, it's kind of hard to restore what's been lost. In the name of God, how many more Targets, Home Depots, Walmarts, Lowe's, McNeighborhoods, and McStrip Malls do we need? When is enough actually enough? "Going green" is about so much more than light bulbs. 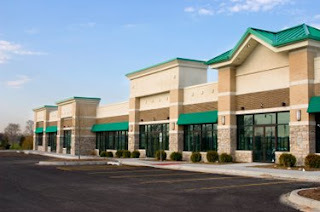 It's about preserving our natural landscape, about holding WalMart and other big-box stores accountable for abandoning a space to build a new, big-box store on previously undeveloped land, about city councils saying "NO!" to greedy real estate developers, about redeveloping empty spaces, about abandoning bottled water (did anyone else who ran Blossom Time notice that the organizers gave out bottled waters after the race when they could have used biodegradable cups? I looked in one of the trash cans and couldn't decide if the overflow of plastic was more comical than sad), about making mass transit more accessible, about coming to grips with the fact that ethanol (which will eventually go the way of the pet rock) is actually having a harmful effect on our land, wildlife, and food prices, and about getting off oil in favor of the hydrogen fuel cell or whatever else works better (did you know you can actually drink hydrogen fuel cell waste water?). In 1960, John F. Kennedy said we'd have a man on the moon within 10 years. We did. Why then can't we pledge to get off oil in lieu of the hydrogen fuel cell? Maybe because we're beholden to Big Oil and OPEC? Maybe because we care more about living in the now than 10 years from now? I'm not entirely sure. But it is ridiculous, tragic and altogether irresponsible that, amid the march of technology over the past several decades, we're still powering our cars with the same stuff we pumped into the automobiles of 70 years ago. The "go green" movement, which is now fashionable and, as a result, annoying, only scratches the surface of a deep problem in our nation and world. Unfortunately, in an era of fast food and fast fixes, it's a way for people to "feel good" about themselves and excuse themselves from dealing with the real problems--over-development, displaced wildlife, stupid energy policies, carte blanche for greedy developers, and backward thinking on a mass scale, all of which has us on a crash course with oblivion. A conversation I had last Sunday with a runner friend got me to thinking: Is speed the ultimate--and only--test of a runner's talent and ability? My friend was more or less saying that speed is the key ingredient of being a competitive runner. As such, he said, any runner seeking to be competitive should adopt a training regiment focusing on speed--200s, 400s, 800s, etc. in addition to the 1600s I run every Wednesday (except for this week, since I feel basically like crap). To the extent that whoever runs the fastest time crosses the finish line first, I suppose speed does matter quite a bit, and any runner looking to improve should be on the track and do tempo runs. But, as speed is a relative concept (as I explain below), I would argue that one could be an excellent, even competitive, runner without possessing a lot of speed as we think of it today. For example, there is a world-class ultrarunner out there--a runner who has won the biggest events in the sport--whose marathon PR is 2:38. 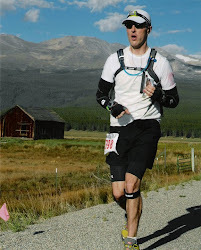 I'd love a 2:38 marathoner PR--don't get me wrong--but one might expect a faster time from a guy who's won 7 consecutive Western States 100s, the Badwater Ultramarathon, the Spartathlon and a host of other big ultras. If you think Scott Jurek possesses less talent than, say, Ryan Hall, who is probably the best American marathoner today, I would challenge you to explain why you think that. Hall is a speedster, Jurek an endurance monster. How can the talents of one be more superior than those of the other? In the world of ultra running, one can win the biggest 100-mile race of all--the Western States 100--averaging 9-minute miles, including aid station stops. The great Valmir Nunes won the 2007 Badwater--and set a new record--averaging 9:20 miles. Whereas in a big marathon like Boston or New York, the winner will have averaged 5-minute miles or even less. I realize I am probably in the minority in saying that I believe winning Boston or New York is no more impressive than winning the WS100 or Badwater, even as Boston and New York occupy a far larger stage than the WS100 or Badwater ever could. Until we see world-class marathoners show up at the WS100, Badwater, Spartathlon, etc. and dominate on a consistent basis, it's unfair to say elite ultrarunners aren't as talented as elite marathoners. Running talent comes in many forms. Society views speed as the ultimate reflection of running talent because speed is fun to watch. Who doesn't love watching Asafa Powell burn it up on the track? But speed comes in many forms. A runner may consistently win 400-meter or 800-meter events, yet fail at 5000 meters. A runner who consistently wins 5000- and 1000-meter events might fail in other distances. A world-class ultrarunner might lack world-class talent for the above-mentioned races, yet excel in 50- or 100-mile races because they possess enough speed to cover the distance faster than anyone else on the course that day. Which brings me to my ultimate argument. Just as lightening-fast speed is a show of talent, so too should extreme endurance reflect talent. This may start a huge argument, but I would venture to speculate that there are many, many world-class marathoners out there who might crumble in a 100-mile race because they simply don't know how to run anything short of blazing fast, or maybe their body just isn't built to handle the long haul--just as a Ferrari would cross town in record speed but be a terrible vehicle for a cross-country drive. Sure, I'll grant you that if a world-class marathoner trained for years to compete in 100 milers or 100Ks, they'd probably do well. I seriously doubt Bill Rodgers, for example, would have finished middle-of-the-pack at WS100. But who's to say he'd have won? We saw in Alberto Salazar's Comrades finishes what a world-class marathoner can do in ultra races. But I think Salazar was the exception because clearly most world-class marathoners don't go on to ultras. Some would say they don't go on to ultras because there's no money in it. That may be true to a point, but it would be short-sighted to say it's the only reason. World-class marathoners run not only for the money, but also because they love to run and win. A world-class marathoner won't find much interest in a sport in which they don't believe they could be highly competitive. Which is to say just because you're a great marathoner doesn't mean you'll be a great ultrarunner, and vice versa. Who's really to say the big-time ultrarunners of today and recent years--people like Scott Jurek, Karl Meltzer, Eric Clifton, Valmir Nunes, the great Yiannis Kouros, Tony Krupicka, Hal Koerner, Michael Wardian, my friend Mark Godale, and others--possess less talent than the big-time marathoners? Whereas the big-time marathoners can cover 26.2 miles in less than 2:10, these guys can go 100 miles in less than 16 hours, which few people in our society could barely even comprehend. How's that not just as impressive, and just as much a show of God-given talent? The goal this week was to get in 80+ miles with quality workouts. I managed to get in 103 miles with a track workout on Wednesday, somewhat of a tempo run on Friday and a total of 3 long runs. This was a hell of a hard week. When you have a 2-week-old baby, finding the time and strength to run 100 miles is very, very difficult. There were a few times this week when I actually questioned whether I should--or could--run Mohican this year. We are having the time of our lives with Noah, but there's no question that it's a lot of work, and the late nights take a toll on you. Couple all of that with a 100-mile week and it gets tough, even with the encouragement of my wife, my family and my extended family--the Cleveland Southeast Running Club. But tough doesn't scare me; it interests me. This week I survived the 100 miles amid limited sleep, and I was definitely feeling it by the end of Sunday, when the wheels were on the verge of coming off. I now just hope I got through the week without injury. I'll find out in the next few days. Pacer update: I found out early in the week that Wayne V. will not be able to pace me at Mohican. He made West Coast trip plans and didn't realize that his plans conflicted with Mohican. For a time, this left me without a pacer from miles 60-75, when Ted F., who paced me at the Burning River 100, will pick me up and run me in. Although I'm quite sure I could make it to 75 by myself and in good shape, it's important to me to have a pacer the last 40 miles. Fortunately, Ted has agreed to go the last 40 with me. Thank you, Ted! Later in the week, I learned that Kenny M. from my former home of West Lafayette, Indiana, who ran with me during the last 20 miles of the Burning River 100, plans to crew for me at Mohican and will also run with Ted and me for the last 25 miles. Kenny is a heck of good runner, a tough guy and an excellent pacer. I am very fortunate to have Kenny and Ted as my crew/pacers. I know I can count on these two guys. They came up huge for me at the Burning River 100 and I know, together, we'll do well at Mohican and have fun in the process. Felt very good despite the aggressive workout and hard Blossom Time Run the day before. I wanted to run with Mark G. and the guys but couldn't make it in time, so I just put in the miles by myself. PM: 4.3 miles on the treadmill with Noah next to me. He was very good! 3x1600s at 5:51, 5:46 and 5:38 with 400 recoveries and striders during my warm-up. I intentionally started conservatively, as I wasn't quite sure what to expect from my body, and got faster with each interval. I don't know if it was my new shoes (Asics 2130s) or if I was just off my game, but I was pounding the track entirely too hard during the last repeat. My gate was completely off. I also zoned out a few times and just wasn't mentally sharp. But, at least I got the track work in.... Next week, when I'm a little fresher, I'll shoot for sub-5:35s and will try to get to the Solon High School track. A very tough workout as I was up until 3 a.m. the night before and suffered a groin pull, which fortunately healed up by the next day thanks to ice treatment. Here's what I wrote in my running log after recording my workout: "Very tired physically and emotionally. Having serious thoughts about Mohican in my current state. Pulled up with a right groin pull. Is this even possible?" I decided to take the evening off and, by the next day, had bounced back mentally but was still down physically. PM: 7 miles in Shaker Park with John L.
This run allowed me to reach my goal of 70 miles by the end of Friday and to finish the day on a strong note, after struggling a bit during the morning session. John, who is an accomplished 5K and 10K specialist and frequently wins his age division in races, really pushed the pace, making this almost a tempo run. I am glad he was there because he pushed me to do better than I might have if alone. We started at Shadow Lake (mile 18 aid station at Burning River) and turned around just past the overlook in Bedford Reservation. The weather was very humid and in the 70s. I was drenched when we got back to our cars and not feeling the best. I didn't get too much sleep the night before, which might be why the wheels started to come off about 10 miles into the run. I held on and managed to finish strong, going sub-7 the last mile. My goal next week is to basically get in as many miles as possible before entering my Mohican 100 taper. If I'm able to get in 100+ miles, that would be perfect. If not, oh well, the hay's in the barn, as a friend of mine likes to say. I am at least going to shoot for 70, with 90 being optimal, and then after Sunday begin my taper for the Mohican.